Sinterpack and Prodec join forces with the intention of offering the best end-of-line automation solutions. Combining their paths, both companies add more than 100 years of experience. A joint knowledge that will enable the group to expand the range of solutions and increase the volume in the international markets. With this union, a consolidated turnover of 25 million EURO is estimated for this fiscal year, which places it as one of the first forces in the manufacture and integration of packaging & palletizing systems. Behind this new group is Mr. Thomas Kermorgant, President of Sinterpack, who has acquired Prodec, an expert company in the manufacturing and integration of packaging solutions. With this Union, the Group counts with a large global technical service network able to offer service on all regions and the best solutions of casepacking and palletizing through industrial and/or collaborative robotics, so the Group becomes a unique designer, integrator and manufacturer of hybrid solutions of end-of-line. Since its creation as STORK in 1965, Sinterpack has positioned as designer, integrator and manufacturer of end-of-line solutions. One of the most remarkable facts of its history happened in 1998, when it introduced robotic technology in the palletizing processes in the Spanish dairy sector, by installing the first 7 palletizing robots, concretely in Calidad Pascual. Ever since, it has been working in order to offer the best innovative solutions, getting designed its own palletizing collaborative cell 2 years ago. This has allowed it to be a reference in the productions of end of line solutions through collaborative robotics. 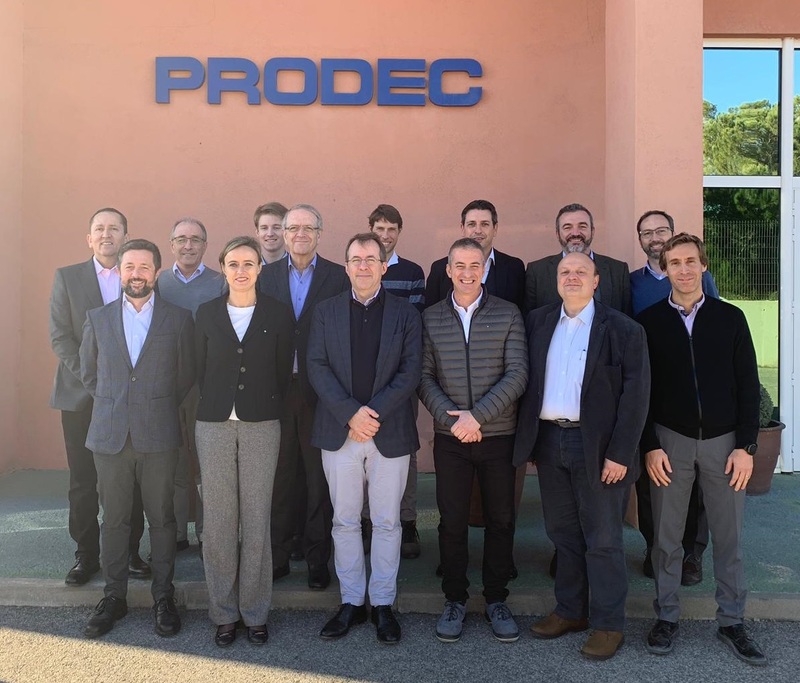 On the other hand, Prodec founded in 1976 and located in Castellar del Valles (Barcelona), is expert in the manufacturing and integration of case packing solutions for products, mainly flexible, having already installed high speed case packing applications up to 400 units per minute. With a strong innovation tradition since its beginnings, one of the latest developments is a worldwide unique system for the case packing of continuous pillow bag strings. More than 40 year’s experience endorse PRODEC as international supplier with presence in Europe, America, Africa and Asia. Prodec will maintain its current activity after the operation and will continue to rely on its founder Jaume Plans as advisor. The joint aims to be a global player in the end-of-line market, where both companies adding all their experiences and reputation. The group’s technological and human capacity will make it possible to provide the market with the best and most current integrated solutions. Although coordination and synergies will be constant between both companies, Sinterpack and Prodec will maintain their productive activity in Burgos and Castellar del Vallès respectively. With this process, the new group expects to double its turnover in the next 6 years. For Thomas Kermorgant, President of the new group: “once positioned as one of the most innovative, committed and modern companies in the end-of-line sector, now, with Prodec incorporation, we intend definitely to become a reference in the international market”.